Open to the public just one afternoon per year, Tickhill Castle rarely features on any tourist literature. This belies its importance for it functioned as a key administrative centre on the Nottingham/Yorkshire border and witnessed multiple sieges including action during Prince John’s failed attempts to displace his brother, King Richard. In recognition of his part in the Norman Conquest, Roger de Busli was rewarded with numerous manors spread across Yorkshire and the Midlands many of which had formerly been owned by Edwin, Earl of Mercia. Roger's new lands were parcelled together to form the Honour of Blyth-Tickhill and were strategically important in the context of the Norman Conquest due to the protection it afforded Nottinghamshire and the Midlands. The caput (centre) of this new Honour was Tickhill (then known as Dadesley) which was a large and wealthy Saxon settlement situated on the Nottingham/Yorkshire border at the heart of Roger's new estates. To secure control and to serve as his administrative hub, Roger built an earth and timber motte-and-bailey castle. The structure was particularly large with the bailey enclosing over two acres. 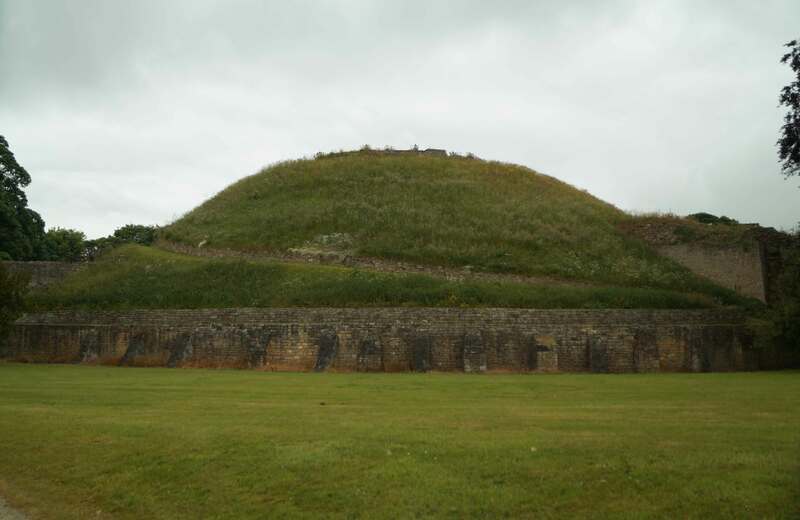 The mound itself, which even today is hugely impressive due to its height, was partially built on top of a natural knoll of sandstone. Roger de Busli died circa-1099 without an heir and his estates were granted to Robert de Bellême, Earl of Shrewsbury by William II. However, like many of magnates with substantial property in both England and Normandy, Robert had a vested interest in ensuring a single ruler across both territories which had been in the hands of different owners since the death of William I in 1087. Robert Curthose, William's eldest son, had become Duke of Normandy whilst William Rufus had taken the English throne. When the latter was killed in a hunting accident, Robert of Bellême seized the opportunity for unification and supported the claim of Robert Curthose over that of Henry I. It was Henry who emerged victorious and he immediately took revenge on those magnates who had supported his rival. Robert's estates were besieged and whilst the King himself led the army to Arundel, he dispatched Robert Bloett, Bishop of Lincoln to Tickhill. By June 1102 the King had joined the siege of Tickhall and in light of the overwhelming forces against them, the garrison eventually surrendered. 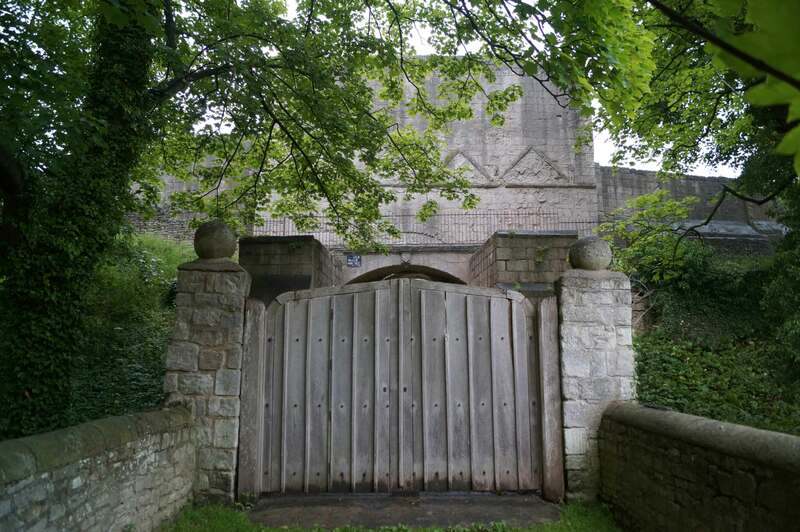 Tickhill was taken into Crown ownership and the defences were significantly enhanced with the timber palisade around the bailey being replaced with a stone curtain wall and gatehouse. Robert de Bellême capitulated to Henry and was allowed to go into exile but he forfeited his estates and was never able to recover them. Tickhill remained a Crown property until 1139 when King Stephen, keen to buy allies in his war (the Anarchy) against Matilda, granted the castle to John, Count of Eu who claimed descent from the former Busli owners. He duly garrisoned the castle in the King's cause but was captured at the Battle of Lincoln (1141) and Tickhill subsequently fell to Matilda's forces. Thereafter it was held by Ranulf, Earl of Chester but in 1153 it reverted once more to Royal ownership. Henry II became King in 1154 and spent much of his reign restoring Royal prestige and power that had been badly corroded by the troubles of the Anarchy. In particular he invested heavily in Royal castles such as Dover, Orford and Scarborough - the ultimate demonstration of his power. In 1178 accounts show he spent £120 on modifications and upgrades at Tickhill including construction of an eleven sided, stone Keep on top of the motte. This was a substantial structure with the visible foundations suggesting the walls were 3 metres thick and supported by buttresses. Henry II died in 1189 and was succeeded by his son, Richard (the Lionheart). 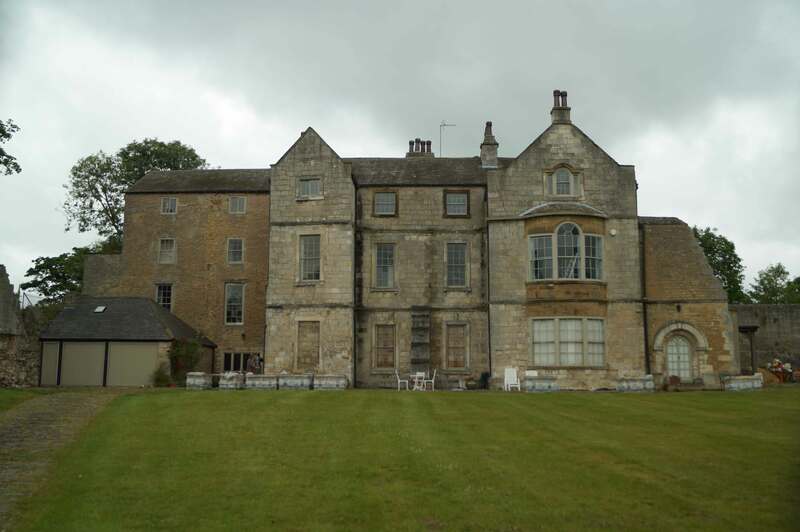 He granted his brother, Prince John, substantial estates including the land around Tickhill but the castle was withheld to prevent him gaining too much military and political power. This fostered resentment in the young Prince and, following Richard’s departure on the Third Crusade in 1190, he was soon in disagreement with the Chief Justiciar (Regent), William Longchamp. 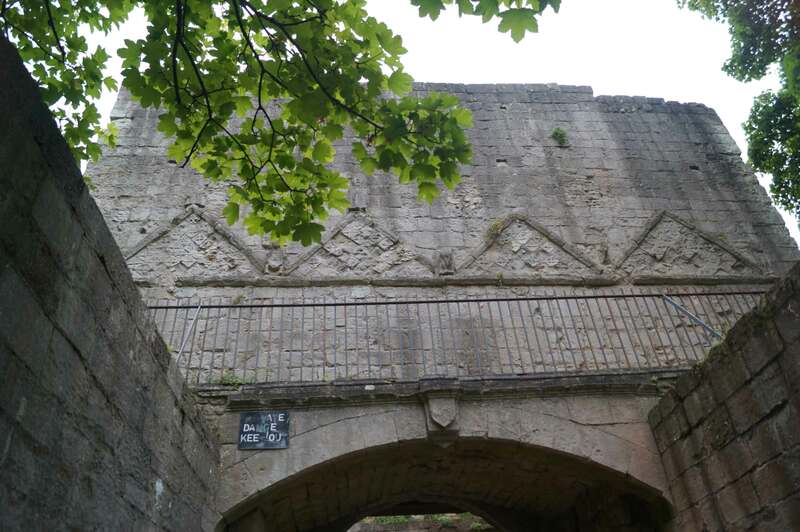 The flashpoint came at Lincoln Castle where one of John’s retainers, Gerard de Camville, refused to hand over the fortification when directed prompting Longchamp to besiege the castle. In retaliation John took control of Tickhill which had been placed under the control of Eudes de Dayvill but which was willingly handed over. Negotiations led by Walter de Coutances, Archbishop of Rouen saw John relinquish the castle but reconciliation with Longchamp was impossible and he was overthrown in 1191. John became Regent and Tickhill Castle became one his key strongholds held on his behalf by Roger de la Mare. 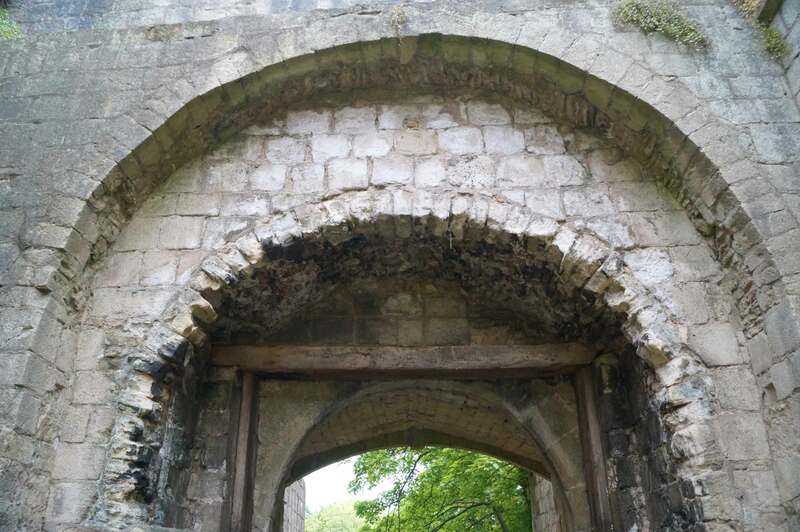 However in 1194 Richard returned and Tickhill was besieged by Hugh de Pudsey, Bishop of Durham on the King's behalf prompting the garrison to unconditionally surrender. 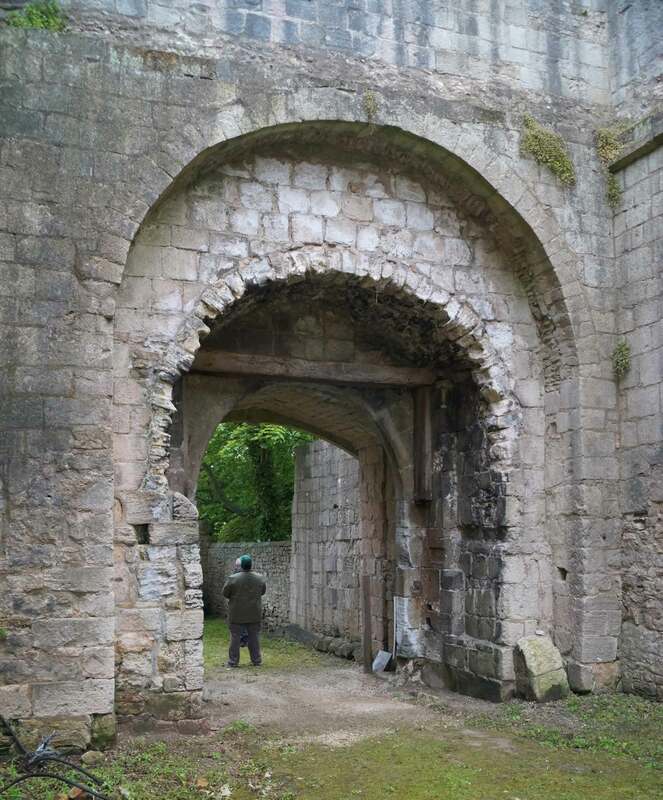 With the death of Richard I in 1199, killed by gangrene from an arrow wound sustained during the siege of Châlus-Chabrol, John became King and with it acquired the ownership of Tickhill Castle. He made numerous upgrades and modifications to the site including addition of the barbican. He granted it to Alice, Countess of Eu in 1214 however the custodian, Robert de Vipont, refused to hand it over – it took until 1222 before she was able to take possession. The castle reverted to Crown control upon Alice’s death in 1247. The castle remained in Crown control throughout the rest of the thirteenth and for much of the fourteenth century. Nevertheless it was attacked by Thomas, Earl of Lancaster in 1322 as part of his wider rebellion against Edward II. Thomas had been a loyal supporter of Edward I fighting in his Scottish wars but relations with the new King had deteriorated over the excessive rewards granted to the Royal favourites - first Piers Gaveston and then the Despenser family. The latter pushed Thomas into open rebellion and prompted his attack on Tickhill. The castle resisted his efforts though and he was later defeated at the Battle of Boroughbridge (1322). Edward II, seizing an opportunity for revenge, had Thomas executed near Pontefract Castle. The King himself was overthrown just a few years later. Tickhill came into the possession of John of Gaunt, Duke of Lancaster in 1362 as part of a remuneration package to compensate for the loss of the Earldom of Richmond. It has remained part of the Duchy ever since which, although held by the reigning monarch, is administered separately from the Crown estate. 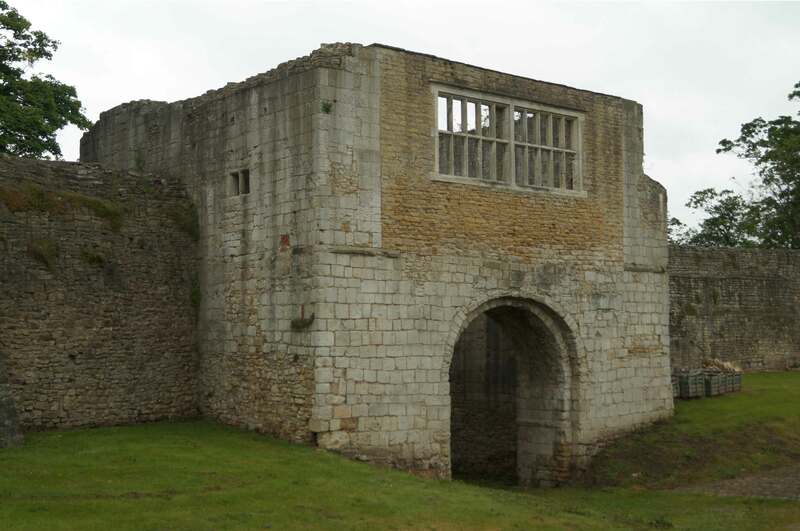 Tickhill Castle played no significant part in the Wars of the Roses and slowly drifted into ruin. A survey of 1538 described the castle as ruinous as did a report of 1564. The latter authorised some repairs to the Gatehouse (which provided the lodgings for the constable) and Court House. The castle got a new lease of life in the late sixteenth century due to a growing association with the Hansby family. By the early seventeenth century the family had risen in prominence and in 1614 took out a 31 year lease of the castle. They initiated some rebuilding of the castle's structures and constructed the house over the site of the former Great Hall. The Hansby family were Catholics and declared for the King when the Civil War started in 1642. Tickhill was re-fortified by Sir Ralph Hansby and formed a key garrison securing Royalist control of the region. He died (from natural causes) on 2 December 1643 after which the garrison was headed by Major Monckton. However, following the defeat at Marston Moor (1644), Royalist control of the north collapsed. Colonel John Lilburn, along with a force of 200 Dragoons, was detached from the Parliamentary army of Edward Montagu, Earl of Manchester to take control of Tickhill Castle. In light of the strategic situation, the castle was surrendered without any loss of life on 28 July 1644. The castle's defences were slighted on the orders of Parliament in 1647. 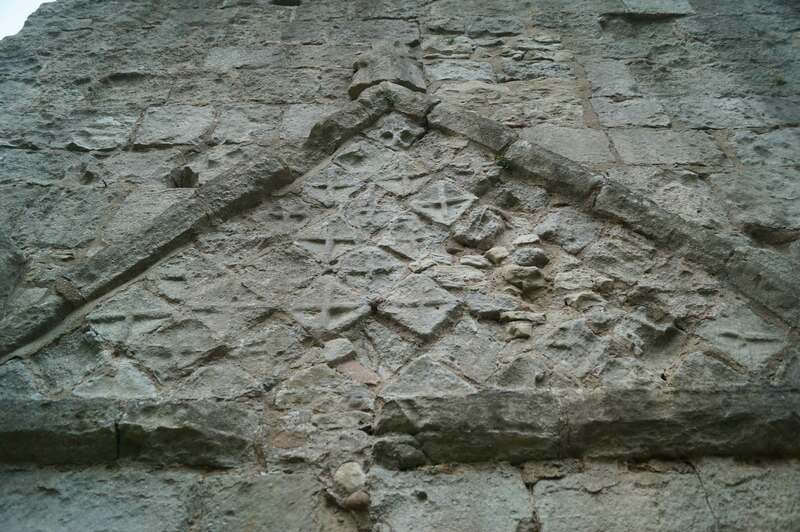 Portions of the curtain wall were pulled down and the eleven sided Keep built by Henry II was demolished but the house remained in use. It was remodelled in the Georgian style in the eighteenth century and further segments of the curtain wall were taken down to improve the view. The grounds were landscaped and the footpath around the outside of the curtain wall was also added at this time. Semi-circular bay windows were added to the house in the nineteenth century. Today the castle remains a residence with the site let on a long term lease by the Duchy of Lancaster. Gatehouse, Curtain Wall and Modern Residence. The castle as viewed from the top of the motte. 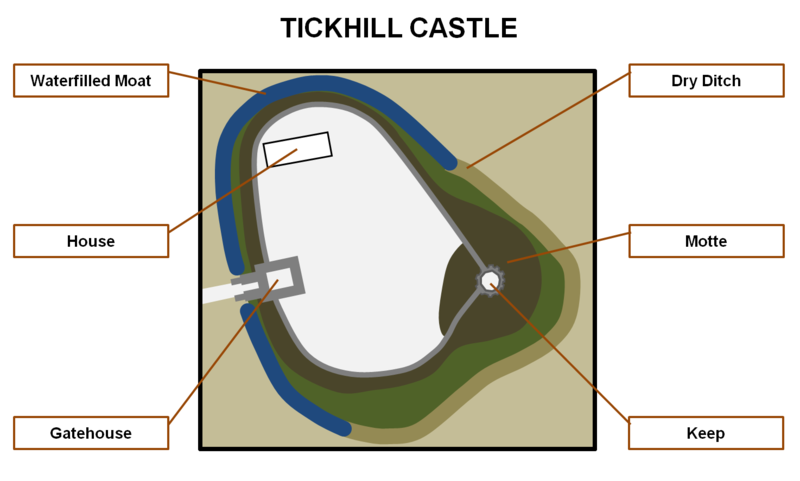 Tickhill Castle Layout. The castle was dominated by its motte on top of which Henry II added an eleven sided stone Keep. Motte. The motte was built on top of a natural knoll of sandstone which accounts for its abnormally large size. Public Access. The castle is leased by the Duchy of Lancaster to private tenants and only opened for 150 minutes one day per year. The rest of the time the castle is largely hidden from view with the Gatehouse hidden behind large wooden gates and the rest of the castle behind extensive foliage. 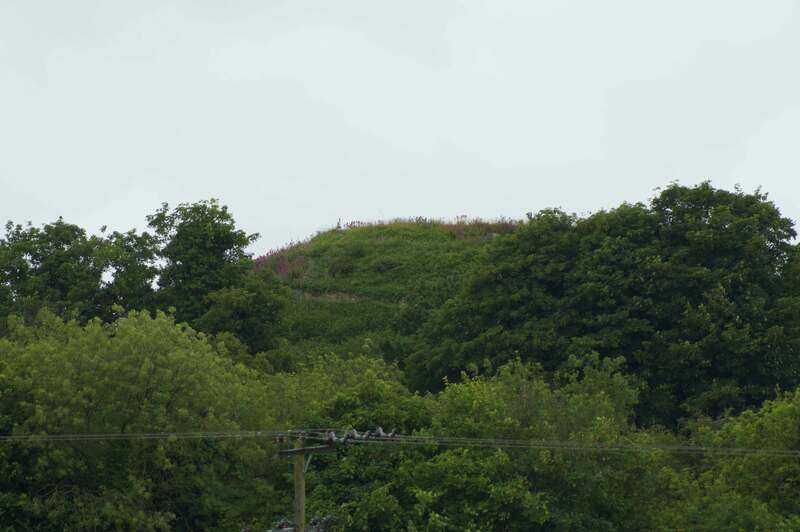 However, the top of the motte can be seen from a public footpath near Lancaster Crescent. Norman Arch. 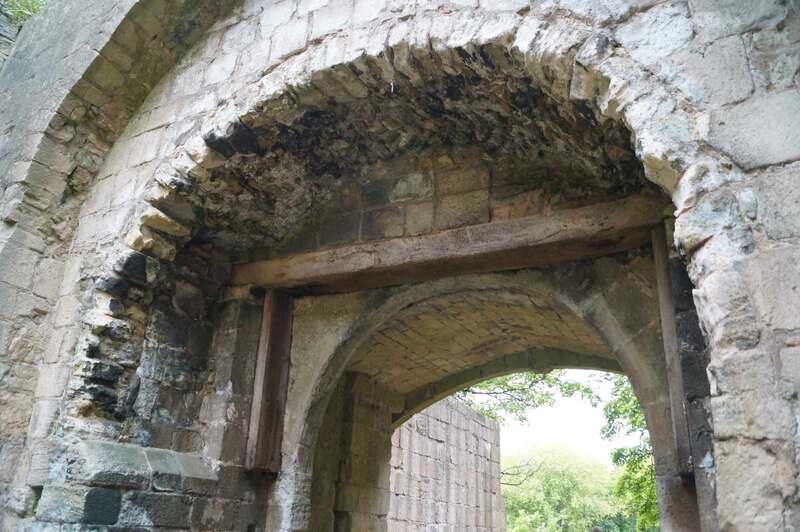 The impressive arch from the Gatehouse - one of the oldest parts of the castle. Note the bouncer guarding the entrance lest anyone tries to get in without a ticket on the open afternoon. 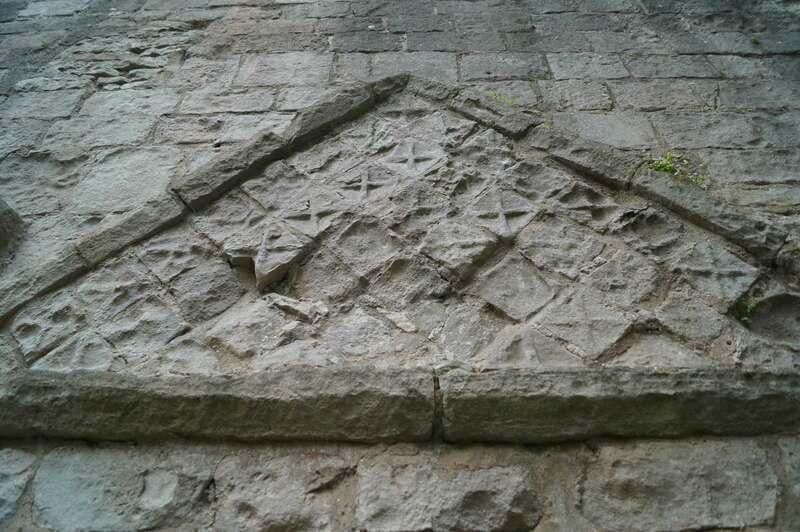 Norman Engravings. 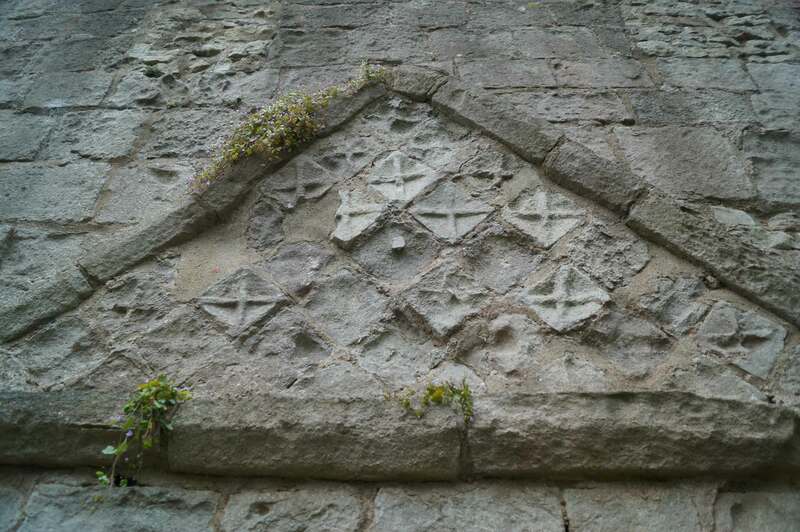 The fine Norman engravings on the exterior of the Gatehouse. Well and Keep Foundations. 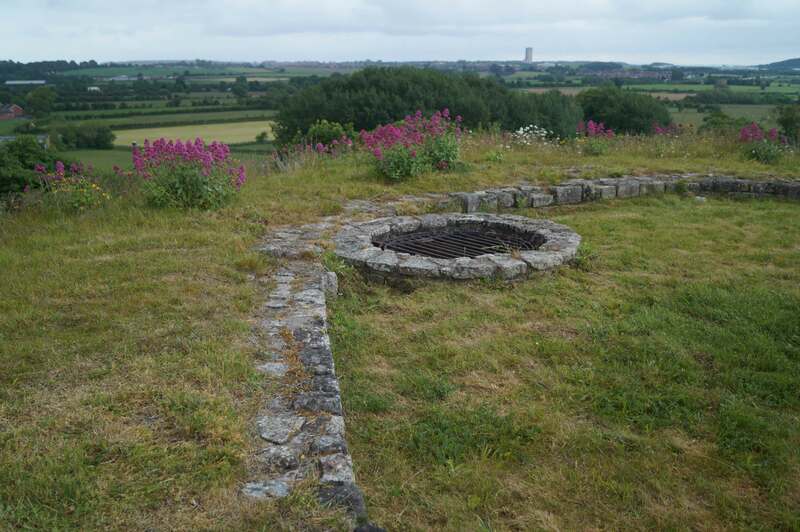 The shape of the eleven sided Keep can be seen on top of the motte which also gives stunning views of the surrounding countryside. House. The house was built by the Hansby family in the early seventeenth century and was later remodelled in the Georgian style. In the nineteenth century the semi-circular bay windows were added. 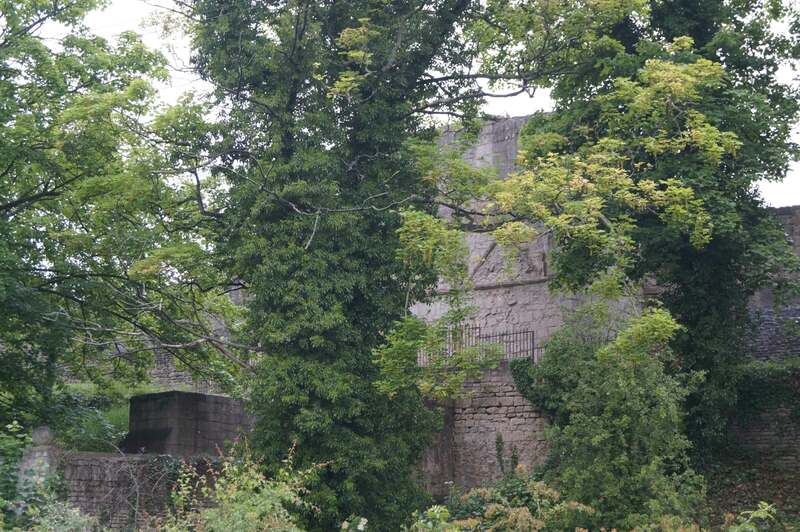 Tickhill Castle is found off Market Place on the A631. On-road car parking is available directly outside the castle gate.